City views are the highlight of this 32nd floor Avenue Condo. The "05" floorplan is open and flowing with modern finishes and is a true 1 bedroom. The kitchen features stainless steel appliances, granite counter tops and a mobile island, perfect for eating breakfast. The living room is spacious, with floor to ceiling windows so you can take in take in the city views! Retreat to your bedroom featuring wall-to-wall carpet, a built-in computer niche, floor to ceiling windows with a door leading to your terrace. Controlled access building with attached parking garage and 24 hour Concierge. Top notch amenities can be found on the 10th floor such as a newly remodeled clubroom with billiards, salt water pool, outdoor fireplace with TV, grills to BBQ and a fitness center with a yoga room. 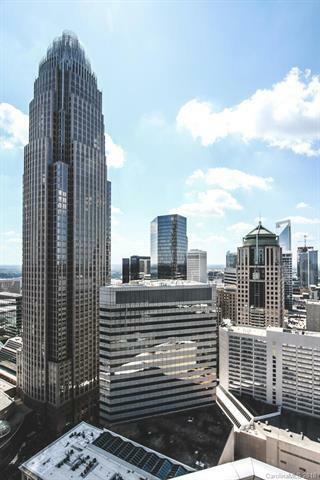 Truly enjoy living in Uptown, with a walkable address, in close proximity to some of the best cuisine and immerse yourself in our beautiful Queen City! Showings start Saturday, September 22nd! Offered by Binaco Real Estate. Copyright 2019 Carolina Multiple Listing Services. All rights reserved.